This is my first month with Ipsy. I got pretty excited as I Love the subscription for 10$ a month plus shipping. I think the founder is doing an amazing job as It’s really Booming! I love writing reviews on their Site, the fun points and all. But for the first month – Out of the five products that were chosen for me, I really only like 2. I have retaken the quiz – so Hopefully in April – I will receive something that’s a Bit more Me. The Chella Ivory lace Highlighting pencil is Lovely. I tried it inside my waterline, on my cupids bow and I really Like it. It’s multipurpose and I love that. The Crown C224 Concealer brush is awesome. I can never have enough brushes. For concealing dark circles – Hello late nights! I’ve tried it to cover booboos and it’s a ten. 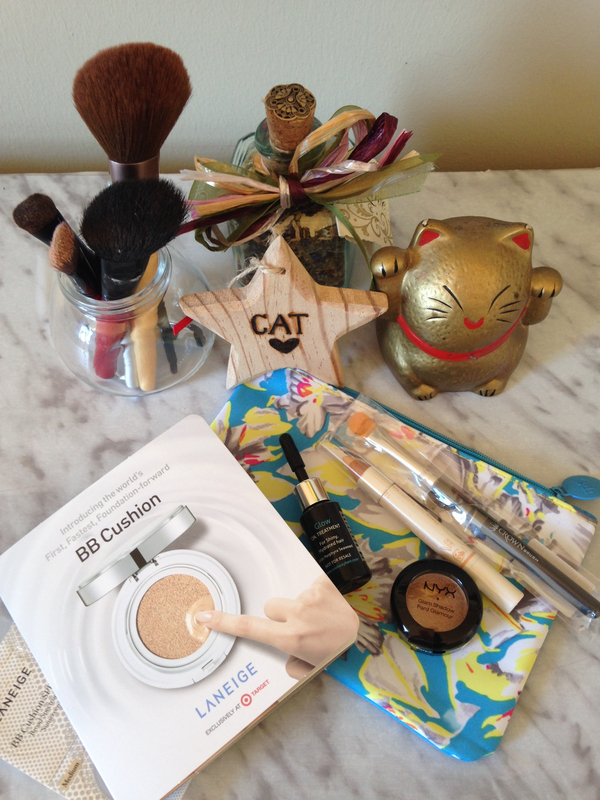 Besides that – The NYX eyeshadow is going to my sister. It’s way Too Yellow Gold for my colouring. It’s Too bad, because I love NYX, and It’s really difficult to find in Canada (in stores). The other products are not even worth mentioning really. I will Gift them. I don’t use BB cream and hair oil, well I already have my fave as mentioned in my last post. 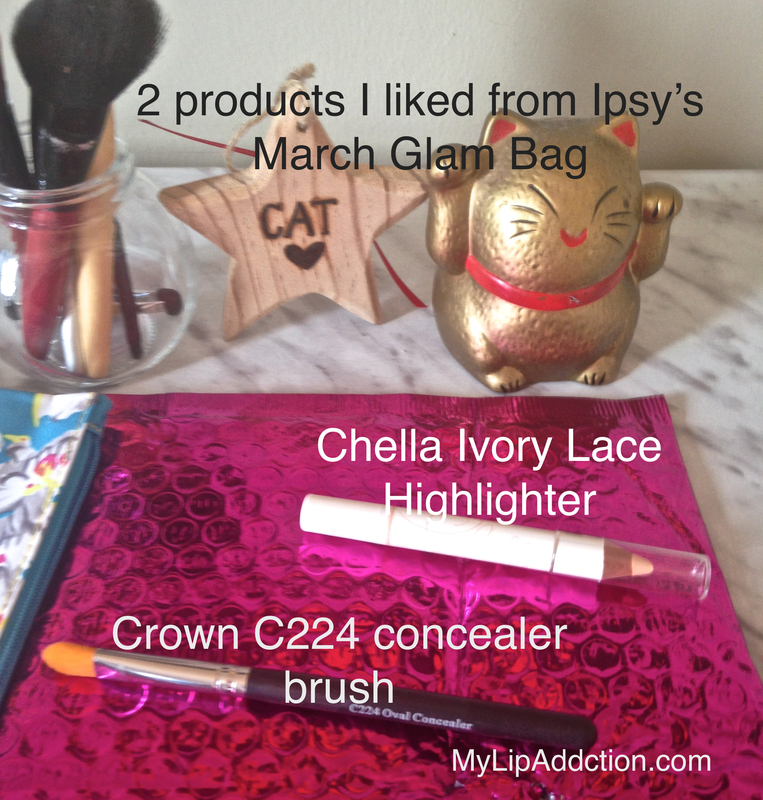 I’m Gonna Try Ipsy again for April and now that I have retaken the quiz and defined what I want – More – Hopefully I will get Products with a Little more Punch!!!! And What! No Lip products….. Come on!!!!! Sounds exciting even if you only like 2 products out of 5. Love that first picture, Cat!!! So girly and it makes me want to subscribe too!! !